A new community park is coming to the corner of 30th and Market streets courtesy of Drexel and Brandywine Realty Trust. Known as Drexel Square, the park is the first phase of the $3.5 billion mixed-use, master-planned mega-development known as Schuylkill Yards. Drexel and Brandywine broke ground on the project in November. As a priority of Brandywine’s curated neighborhood experience, Drexel Square will boast 1.3 acres of public space located directly across from Amtrak’s 30th Street Station. The space was designed in partnership with planning and design firms SHoP Architects and West 8 Landscape Architects, and will serve as a four-season destination with dynamic community programming throughout the year. Drexel Square is just one portion of the 6.5 acres of greenspace and improved streetscape planned for Schuylkill Yards, and is expected to be completed in the fourth quarter of 2018. Over the next two decades, Schuylkill Yards will bring to Philadelphia a next-generation innovation community defined by thoughtful place-making, civic engagement and quality execution. 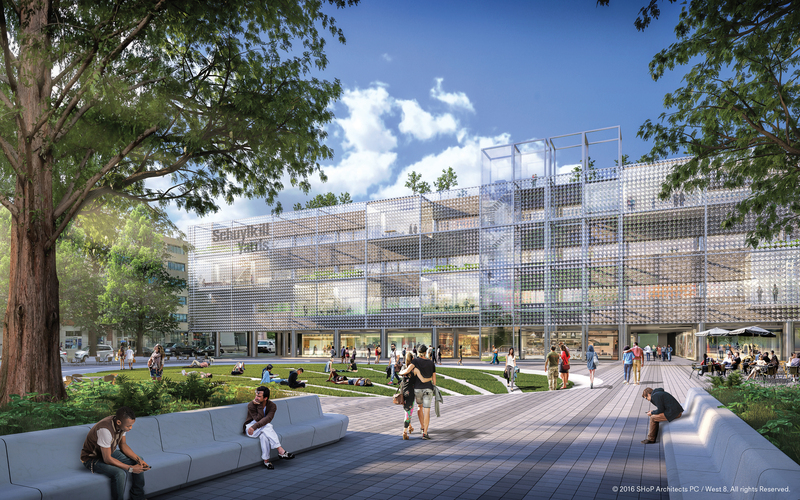 When completed, the site will host a combination of repurposed buildings, new high-rises with world-class design and a diverse network of public spaces regularly programmed for community engagement and enjoyment.